"Backwards proudly presents a new KONSTRUKT vinyl release! “Live at Islington Mill” finds Konstrukt working with 2 amazing guest artists Graham Massey (of 808 State) and David McLean (of the Tombed Visions label). This live recording from last year finds the Turkish group and their guests filtering free jazz through a 70’s era-Miles approach. 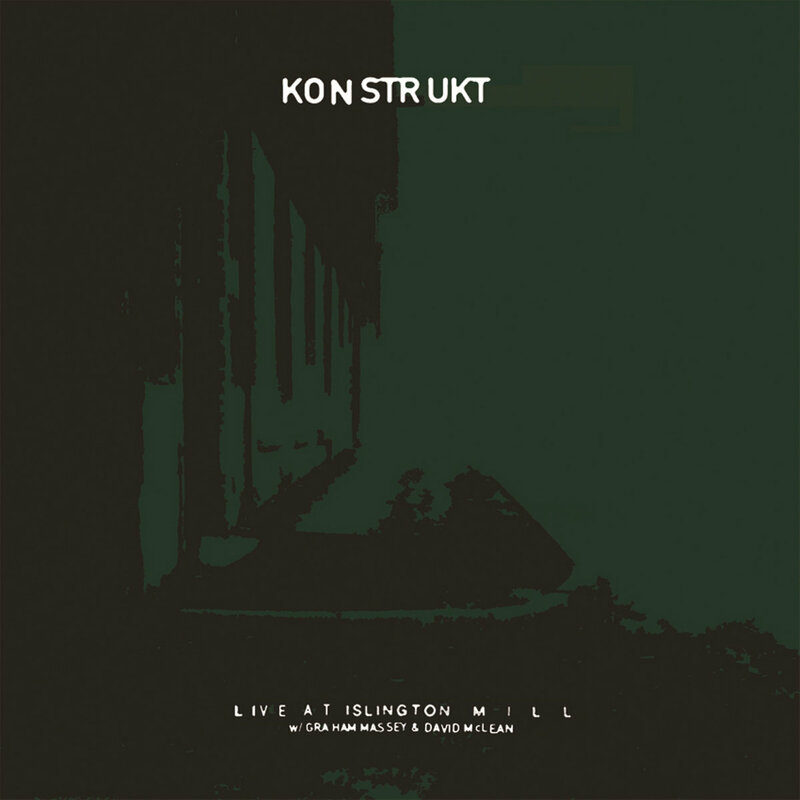 Konstrukt has been making a name for themselves for a quite a while now with an incredibly impressive discograpy of LP’s featuring a who’s who list of guests such as Joe McPhee, Marshall Allen, Peter Brotzmann, William Parker and so many more. “Live at Islington Mill” recorded in Salford England and gives us two sides of blistering avant-funk, cosmic space sounds, and pure inspired playing throughout. Konstrukt never ceases to amaze at how well they can incorporate guest players into their own sound, “Part II” finds them coming straight out of the gate with a heavy groove and some powerful saxophone screams before it calms down into a more open section that still maintains a steady pulse. Think Agharta or On The Corner or even the more grooving era of the Sun Ra Arkestra but with an added layer of cosmic sounds via drum machines, synths and exotic reed instruments…not many groups can pull this sound off without falling into an unflattering repetition of their forebearers, Konstrukt here with Massey & McLean pull it off handily. which is coming out in October 2018. Excellent news - another one to look out for! Just found this thread whilst checking to see if it were out yet. Nothing listed at Picadilly Records yet.